Cost: Reasonable for a sit down restaurant. Even better with a coupon or deal. Spaghetti Warehouse is a small Dallas-based chain with one location in Houston. It is also housed in the most haunted building in downtown Houston. The restaurant is in a neat old building with brick walls and lots of character. Apparently most of the spirit encounters have been on the second floor, which is open only for parties. Curious diners can go to the check it out, but we did NOT. I am happy to report that all reported spirit encounters have been “nice” and that we had no encounters of our own. If you would like to learn more about the haunted building, go HERE. or check out this book on Ghosthunting Texas. 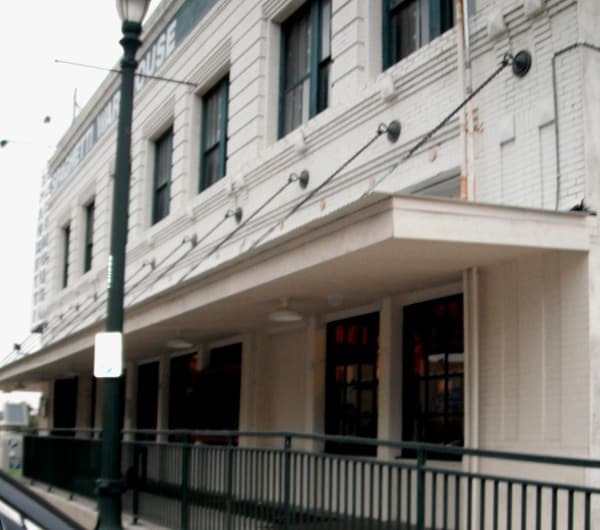 Spaghetti Warehouse is located right on Buffalo Bayou, next to Allen’s Landing. You can take the METRORail to the Preston Station (or UH Downtown and walk back over the bridge), or you can drive and park. Parking in the lot next door is free after 5:00 on weekdays and all day on weekends. Other times you can park on the street and pay the meter, or you can park in the lot for $5. We went at 3:30 on a weekday, and there were a few others dining. By the time we left at 4:30, the place was full with the downtown office crowd. The staff at Spaghetti Warehouses was very nice and did everything they could to welcome the kids. They made a big deal over them, got high chairs and an infant carrier sling, and got them coloring books. It looks like there is a list of family focused events on their WEBSITE, so definitely feel free to bring your kids to this restaurant. 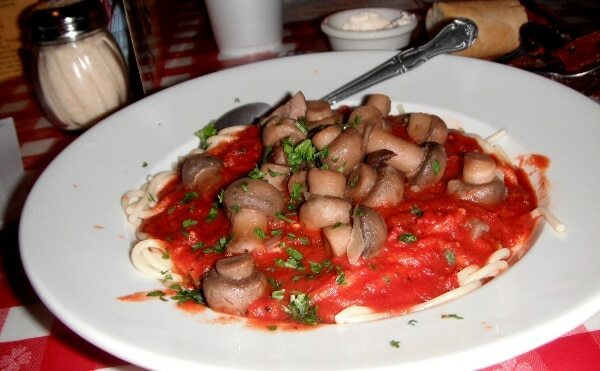 I ordered the Spaghetti and Mushrooms, salad and bread. For the kids, I ordered Spaghetti and Meatballs, apple sauce and bread. The warm bread came quickly. My kids gobbled up one loaf and the waiter brought us another. It was served with a garlic butter that my kids and I both liked. Next came our salad and applesauce. My kids ate and ate and ate the noodles in their dish, but hardly made a dent. One dinner is plenty for 2 little kids. Brooke had sauce from ear to ear, but, well, so did I. Our waiter was very sweet and kept my iced tea full. He was nice with the kids and flexible when it came to sharing the dinner or using multiple coupons. I was impressed by the service. If you order a kids meal, you can pick out a candy stick after the meal. Without this meal, you can buy one for $0.25. I may or may not have bribed my kids with this during the entire meal. 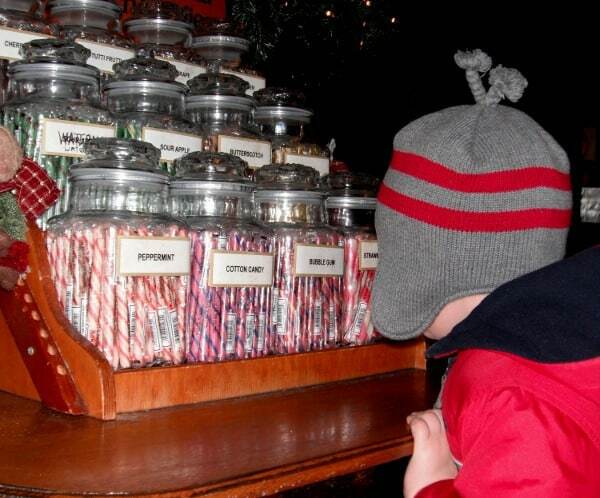 Once they were good for the entire meal, they when to pick out their candy. In the end, we were all happy. We had a reasonable dinner with my coupon. (If you check online before you go, likely you can also find a discount or nightly deal.) Also, important for me, we got to see the building with no spirit encounters. Thank goodness. I did not tell my big kids about the ghosts, because my sensitive 4 year old would not have lasted 5 minutes in the building. 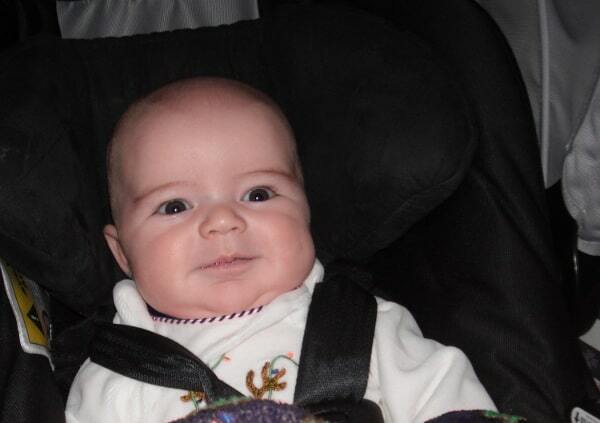 But, if you are following my family’s adventures, you know that James was also along for the ride. In between naps he told me that he’s not afraid of no ghosts. I went right after the opening back in the 70’s but nothing happened sooow we’re going later for Fathers Day! Will let ya know how it goes! We went today.. as we ate my oldest kept hearing a woman call her name..we went upstairs to check it out.. all lights were off except for 4 lights so we walked around in the very dark room with very little light from outside.. Very uneasy feeling up there like someone is following you around cause they don’t want you there. My oldest said she saw a tall lady in black walking behind trolley. And as we were leaving to head down stairs I heard a ladies voice call my daughters name from across the room.. we were the only ones up there… plus I knew I wasn’t hearing things cause her head turned as if I was calling her.. we even went in the bathroom upstairs.. 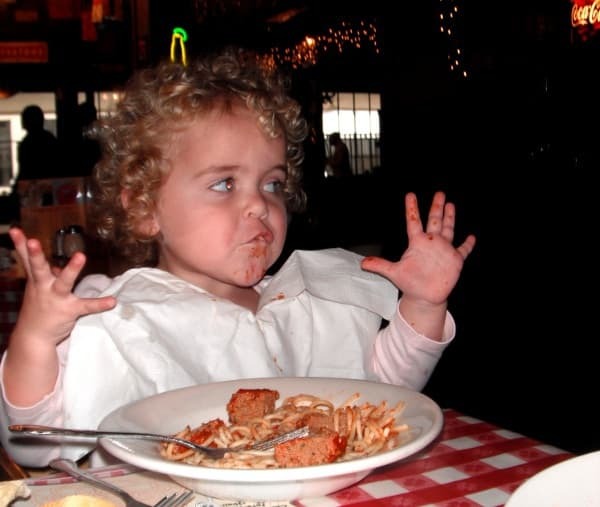 I took my daughter, and spouse about five yrs back at the time, she is Now 11yrs old but she remembers her first haunting experience we were waiting for our food to come we were eating a Appetizer when she got this look of fright on her little face I thought she was going to really cry her eyes where big as saucers and I became really concerned!!! My first reaction was maybe she was choking I asked her what was wrong she would not say until we got home!!! Then she said it felt as if someone threw a small eraser that hit ger on her shoulder they where no children around to throw an eraser at her I looked around only adults engaged in their meals. The food as nd service is Great by the way!!! And the building has a certain badness to it. 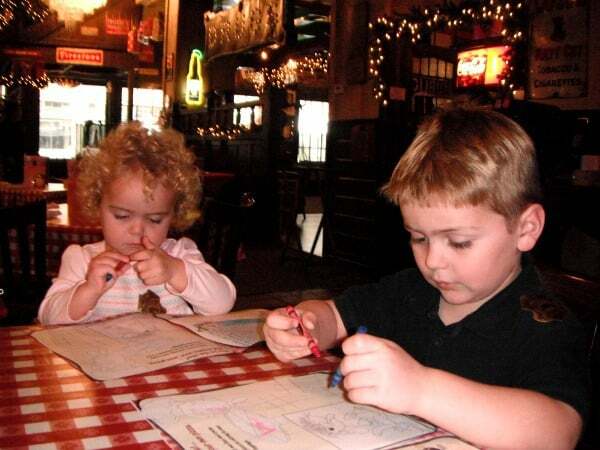 I went to Spaghetti Warehouse with my daughter on a field trip, and have never been up on the second floor. When we were eating in the trolley the chandelier next to us started rocking then it suddenly stopped. The chandeliers are up high, its impossible to reach without a ladder. It was an interesting experience. My wife, son and I went to the Spaghetti Warehouse for dinner. After, we went upstairs and walked around and took pictures. My son and I witnessed a double set of doors swing open, with no one around. We went over and took a couple pictures of the stairs. Once home, we discovered a blue orb on several pics that seemed to go down the steps on each pic. Very odd. We even had orbs in the trolley car. Lots of orbs. Fun night. The warehouse is now closed because of Harvey…Permanently. Such a loss. I performed Celebrity Mystery’s there monthly for 10 years.. over 100. All on the second floor. I am the only company member who had a haunting during this time. 8 of us. I had a broken watch that i wore as ‘Robin Williams’.. It had been broke for a year. The second hand permanently stuck on 3:15 pm. Before I went on stage, I showed my cast mate my watch…talked about how I needed one that worked. It was 9 pm. I came offstage at 9:15… and..to my Surprise the watch had set itself ahead 6 hours to the Correct Time..9:15 pm…and it was working…!! I showed my friend…we got chills. The next morning I woke up and the watch was stuck on 3:15 again. It has never worked again. I got new a watch. I had been complaining that since Robin Williams death I could not book my Tribute act anymore..I believe Robin Reached out to me. I met Robin and have been Impersonating him for 20 years. True Story from a Native Houstonian.